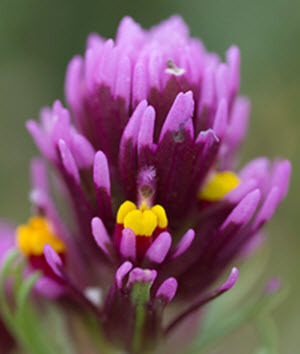 The Castilleja exserta is also known under its common names “purple owl’s clover”, just “owl’s clover” or “Exserted indian paintbrush”. 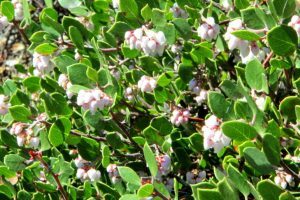 This beautiful plant can be found spread out all over of California’s landscape, though most normal in the southern parts. These plants only see a single season, before they again wither and die. The Castilleja exserta is a herbaceous annual which can grow up to 18 inches tall. Its stem grows as a singular pillar and is covered in small fussy hairs. The stem is covered in small thread like leaves; this is because the exserta is as many other species in the same genus, a hemiparasite. Being a hemiparasite means that you live partly from nutriments extracted from others plants roots. It does this by injecting a chemical called haustoria into the roots of other plants, which makes the exserta able to pull out what it needs. Their flowers sit on top of the stem in an inflorescence and though the flowers are usually lavender or pink they can take other bright colors as a consequence of hybridization. The thin and erect leaves at the end of the stem often take the same color as the flower, which gives the appearance of a paintbrush (hence the name). Its fruits are small pods filled with seeds. The Castilleja exserta grows in many different constellations. 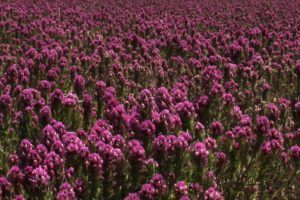 It will grow both in sandy and clay soils, will tolerate everything from slow to immediate drainage, grows at altitudes of 70 – 11300 feet and it can take big Ph and temperature swings. The most important thing for its habitat is the companion plants. As mentioned the exserta is hemiparasitic and live of other plants, but not just any plant. You will often find the exserta in communion with California poppies, baby blue-eyes, lupine species, wild onions, Ithuriels’s spear, blue dicks and mariposa lilies. 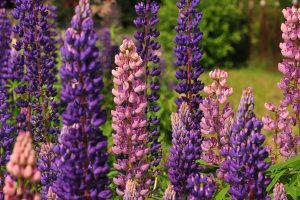 As a native gardener of California this plant should attract your attention, especially if you are planning on attracting butterflies and bee to you garden. Castilleja exserta is a very important host to the Bay Checkerspot butterfly, a highly threatened species in California. And it’s not just the bay Checkerspot you will help out, the exserta attracts many more pollinators to your garden. Furthermore as a gardener of California it is important to plant drought resistant plants and the exserta is as tolerant as they come, especially of the ones with beautiful flowers.